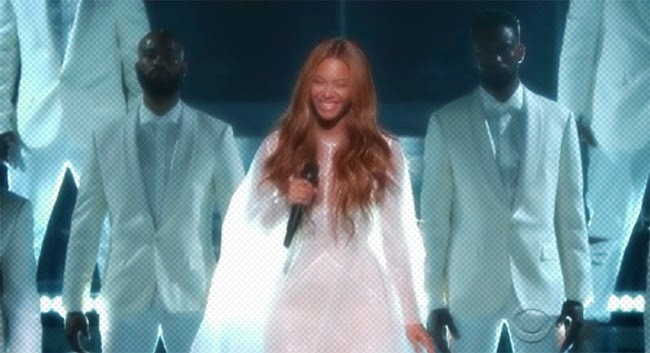 Beyonce may not have won the coveted Album of the Year gong at this year's Grammys, but she didn't let that slight stop her from giving her all during the show-closing rendition of Take My Hand, Precious Lord. As usual Bey gave a polished and professional performance, delivering a stunning POP take of the Gospel hymn. If I'm honest, it didn't take me to Church like the Ledisi version featured in Selma did, but she still delivered one of the standout vocals on the night.